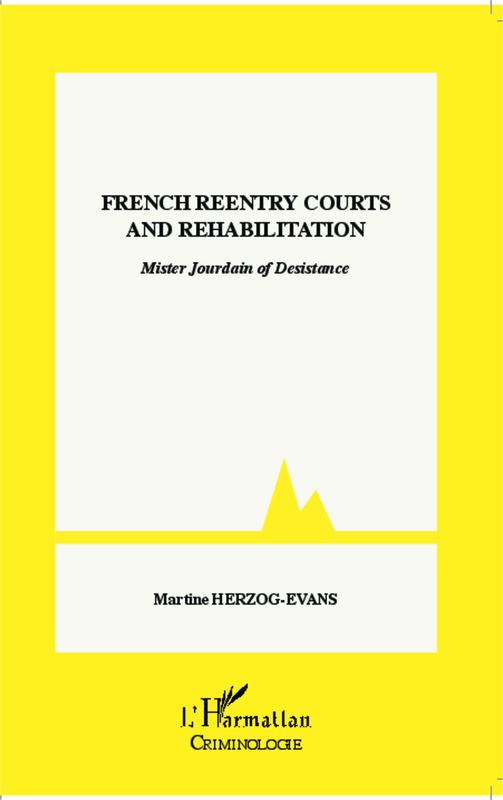 This book is the result of a two year and a half research which pertained to Juge de l'application des peines (JAP), a French reentry and supervision judge which had never been empirically studied before. 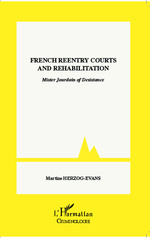 The author studied their pratices both from the qualitative and quatitative viewpoint. 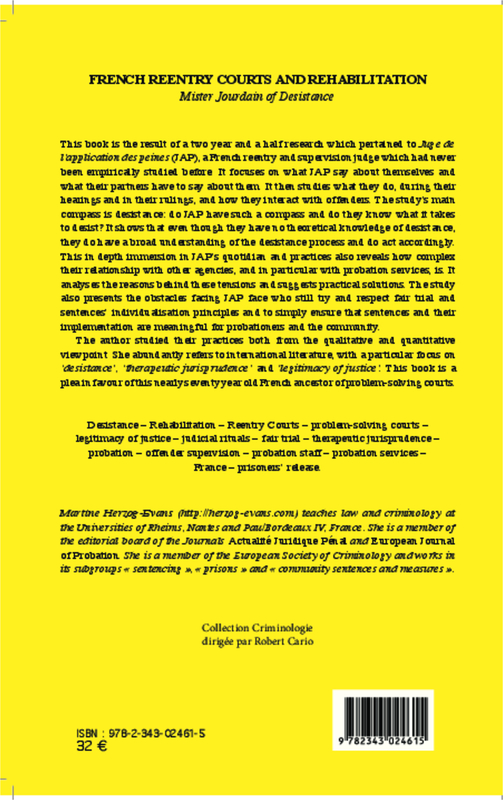 She abundantly refers to international literature, with a particular focus on "desistance", "therapeutic jurisprudence" and "legitimacy of justice".